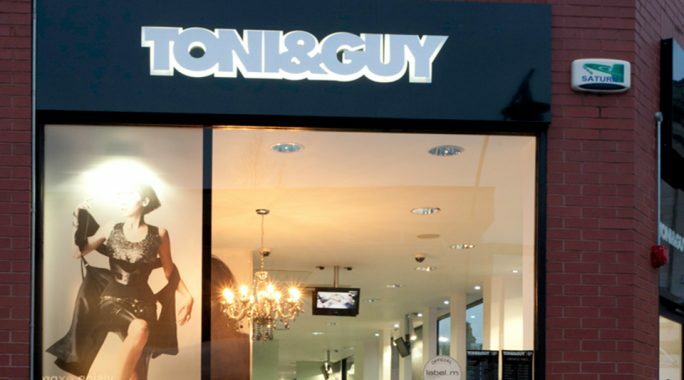 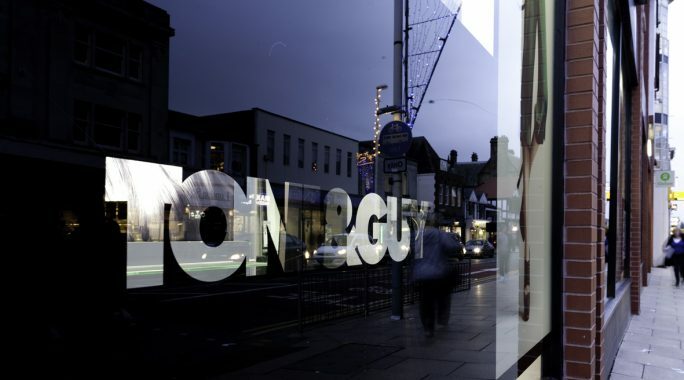 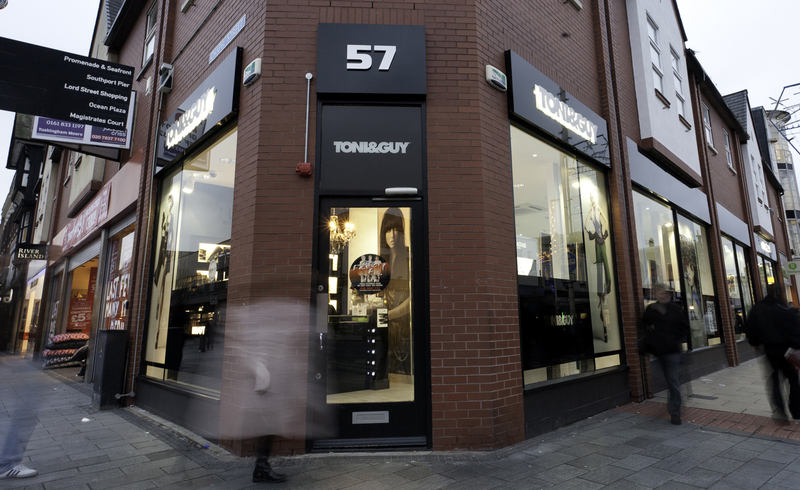 Toni & Guy is a multi-award winning hairdressing brand with over 50 year’s experience in education, client services, and hair care expertise. 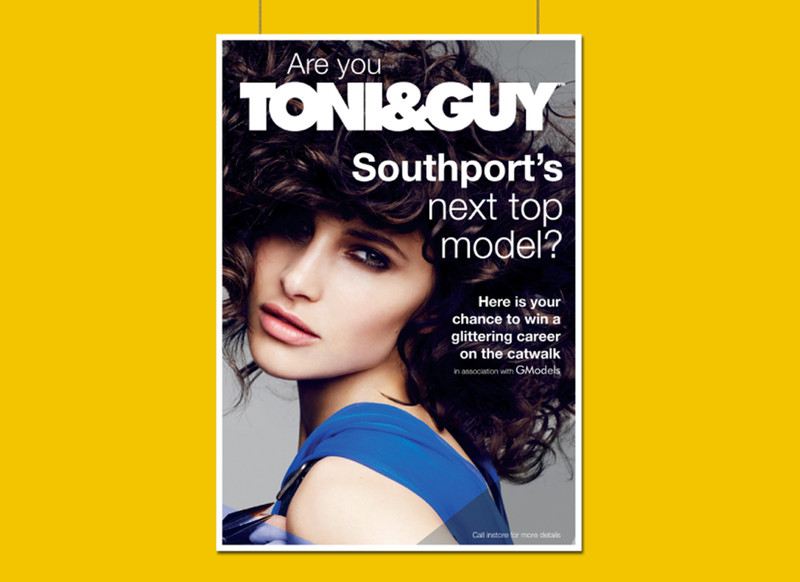 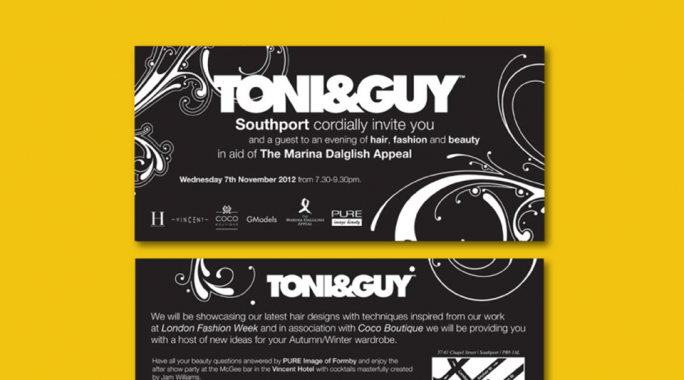 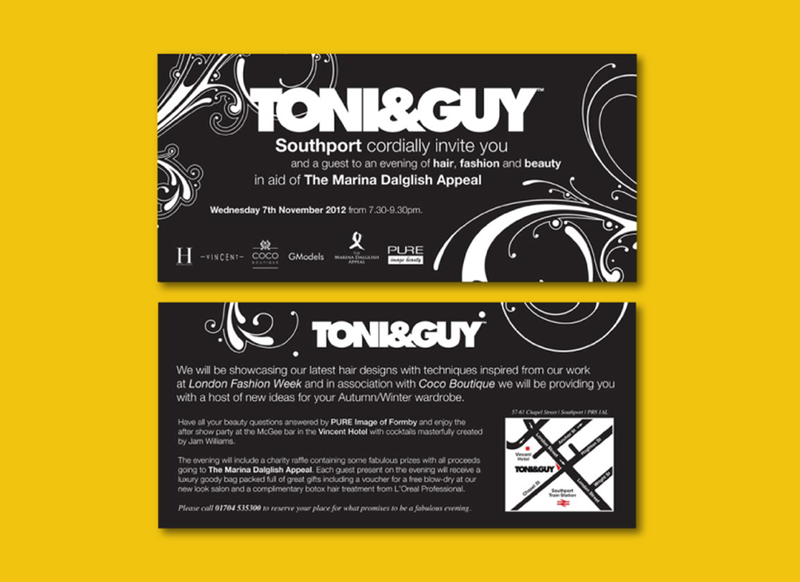 We were tasked with designing stand out signage both internally and externally at the Preston and Southport salons. 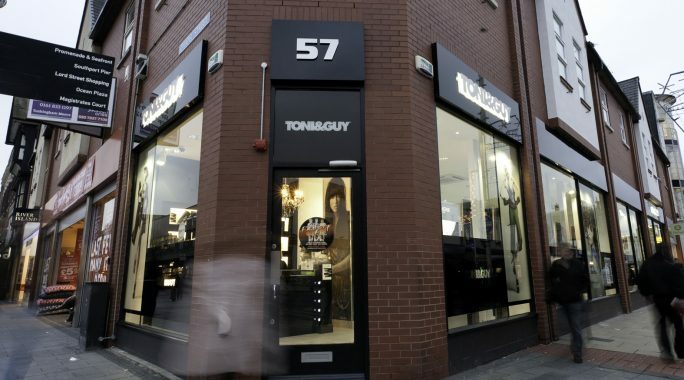 We carried out a full redesign to the front of this salon, which equated to the width of four high street shops. 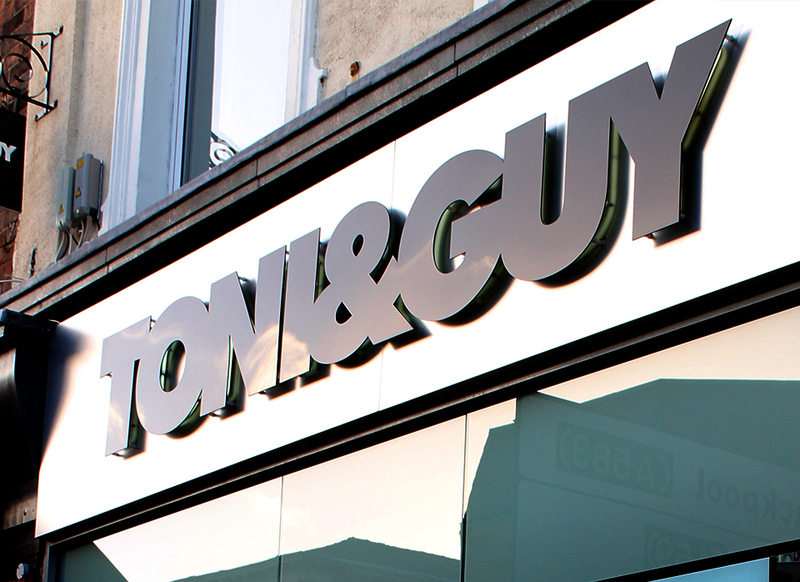 This was manufactured using high gloss, aluminum trays with neon lights and cut out lettering. 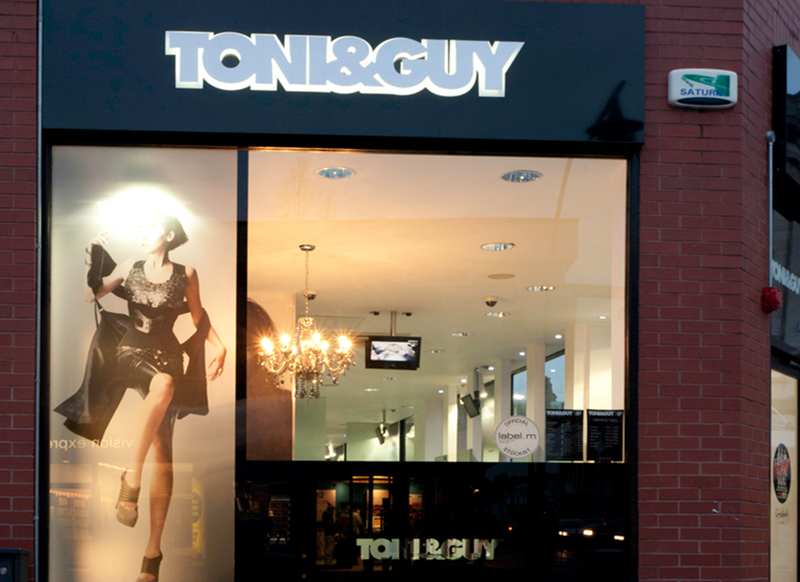 Window graphics were designed to incorporate television screens into the etch vinyl, providing the shop with a striking new image. 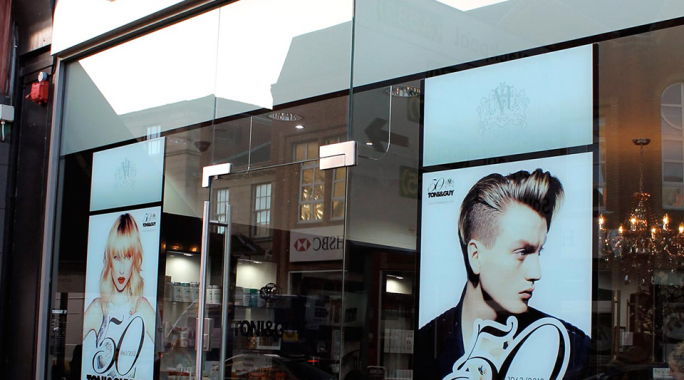 Internal graphics were produced using vinyl designs on the walls, perspex signs, floor graphics and lighting design across the salon, giving it a quality and professional finish. 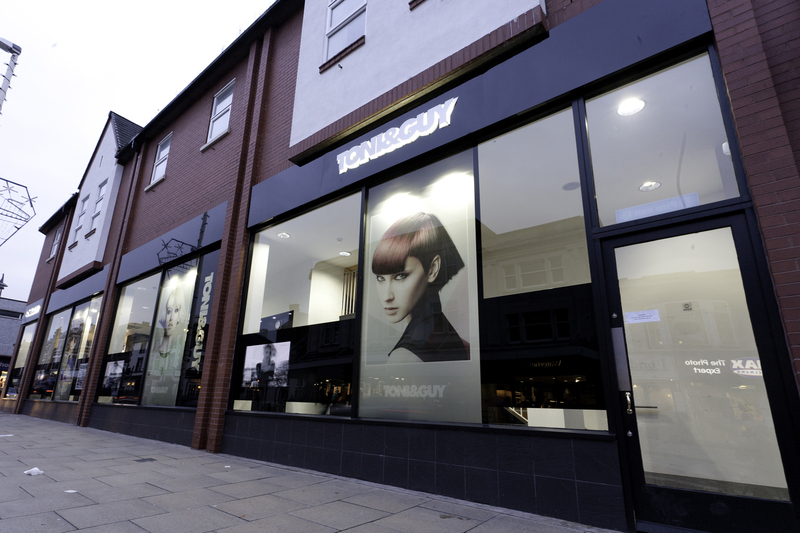 This striking new image from the Southport salon was then incorporated into the site in Preston City Centre. 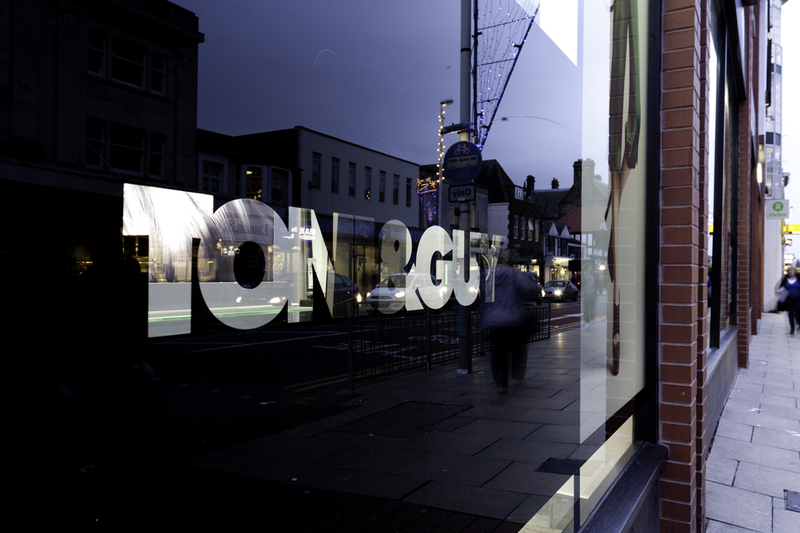 The external shop signs were manufactured using a brushed stainless steel backboard with handmade, bespoke neon lighting and a cut-out perspex covering for over the neon to provide a ‘halo’ effect at night time. 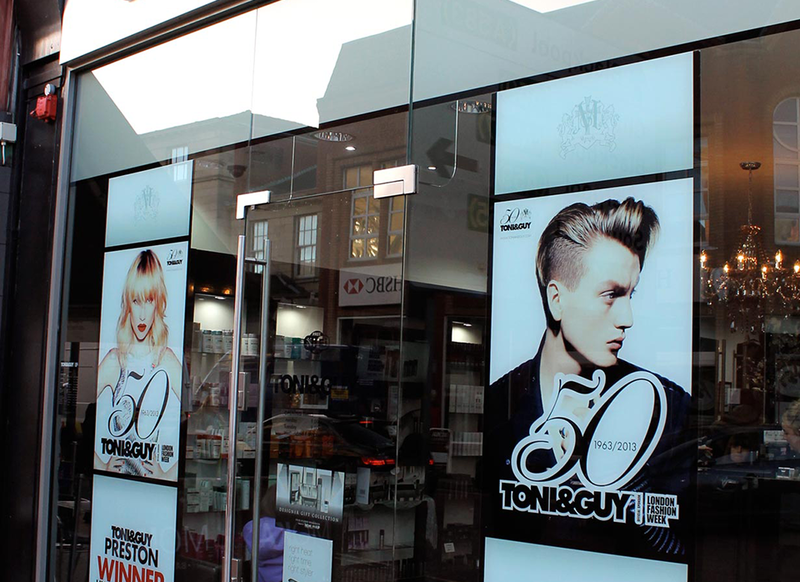 Vinyl window graphics were also designed to highlight the fact that this salon was the proud winner of the ‘Salon of the Year’ award.